Quik-Sand is Winnipeg's original safety sand company. Our products have been imitated but never duplicated! We pride ourselves in delivering the highest quality products combined with prompt, reliable, and cost effective service to keep your property protected. Mechanical sanding is quoted and priced per lot. We can work as an on-call service or set up a monthly contract to be done automatically anytime your lot is icy. When it's winter in Winnipeg there's snow! Let us clear your parking lot for you. 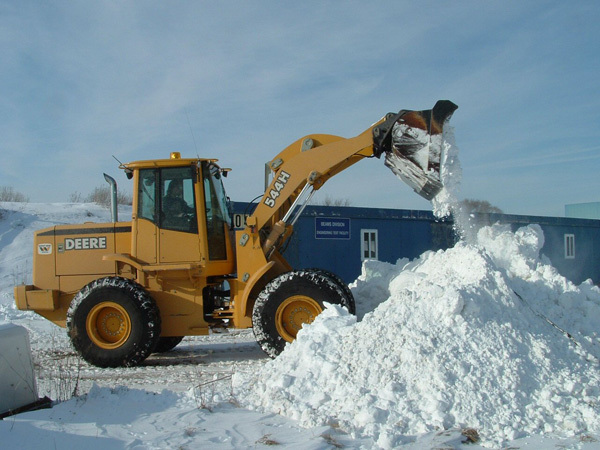 We can clear and pile snow or clear and haul it away. Please call or email for your free quote! Want to place an order or have questions about our products or services?